JANUARY 2019 CHALLENGES COMING SOON! As you know, The Digital Press always takes a week off surrounding the Christmas holiday in order to focus on our families, friends, and general relaxation! And as such, we always push a few things on our schedule back a week in order to accommodate that downtime... including the launch of our January challenges! 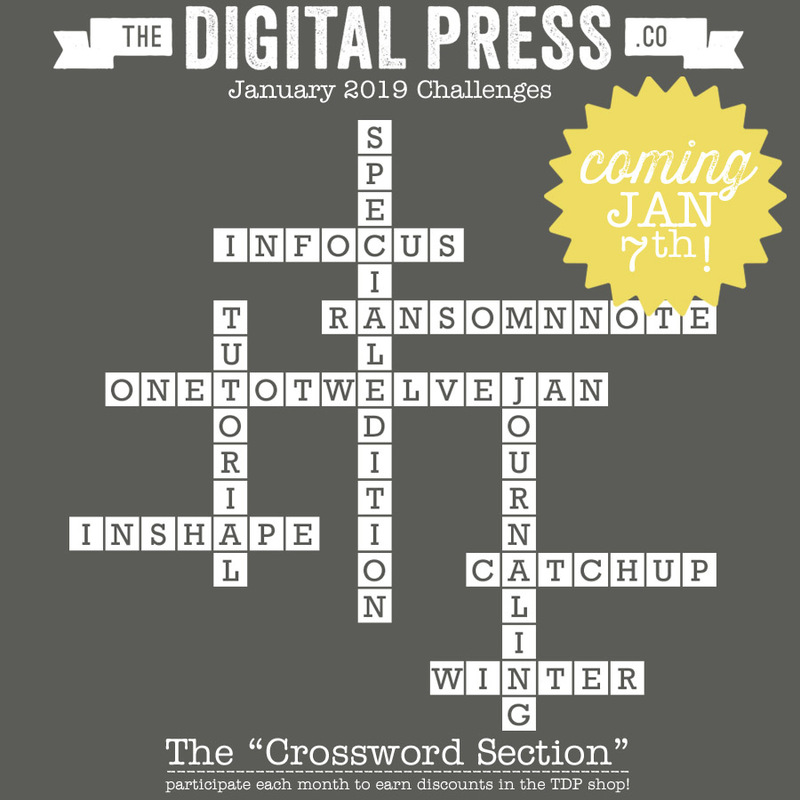 You likely already read this in our Tuesday 1/1 edition of The Digital Press News... but we like to ensure that our site's creative team/staff doesn't have to work during the week between Christmas and New Years, and therefore our January CHALLENGES always launch a week late. This year, they'll be kicking off on Monday 1/7, instead of on the 1st of the month. SO... GET READY! The January 2019 challenges are coming on Monday 1/7, and it's going to be a really fun-filled month!